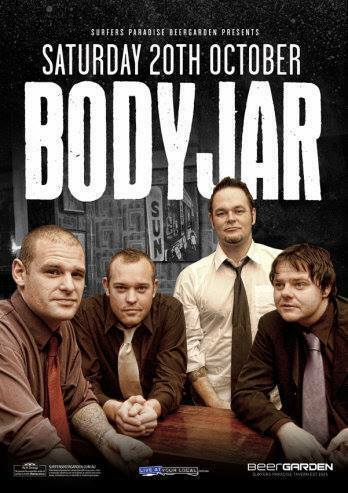 Bodyjar is an Australian punk rock band based in Melbourne, that formed in 1994, when they changed their name from 'Helium'. 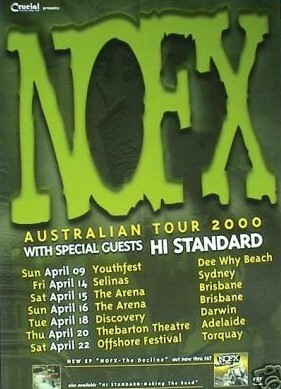 Their song "Not The Same" was also featured in the video game Tony Hawk's Pro Skater 3. 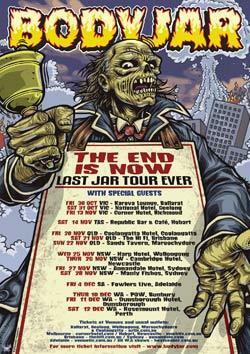 Bodyjar have released 7 albums, 6 of which were recorded in studio and their latest which is a live recording entitled 'Is It Alive'. The band contained two of its original members, Cameron Baines (lead vocals/guitar) and Grant Relf (Bass) when they split.